As even occasional readers of this blog have probably noticed by now, I rarely write about restaurant ideas for breakfast or brunch. For the most part, we do our eating out either for dinner or lunch on the weekends. Over the past month, though, we've tried two breakfast/brunch-oriented spots and plan to try more in the future. We've also been on the hunt lately for a good local seafood restaurant (This weekend we're hitting the Cajun/Zydeco Crawfish Festival in St. Pete). So far, we've been out of luck. 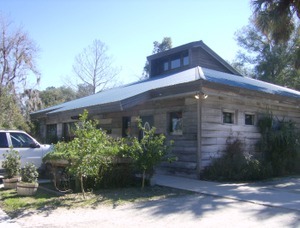 So on with some quick recaps of recent dining experiences in and around Gainesville. Blue Water Bay: What a pleasant surprise! We went here for brunch a few weekends ago and came away impressed. Located in tiny Melrose, we were treated to what I would consider a gourmet brunch (delicious food and great presentation). I had the Earlton Hash (crawfish tails, rock shrimp, andouille sausage, hashbrowns, cheese and fried eggs topped with creole hollandaise) and Traci went with the Bananas Foster French Toast. The menu is very seafood oriented and creative. While it's definitely a drive for us, we plan to give the place a try for dinner sometime. 43rd Street Deli & Breakfast: We tried the Williston Rd. location of 43rd Street Deli a few weekends ago for breakfast. This isn't exactly Blue Water Bay, but the food and service were both solid. I haven't been inside the other locations around town, but the Williston location is nicely done inside. Traci had a bagel and I tried a traditional eggs benedict. Certainly a cut above in food and menu selection than a breakfast chain joint (Denny's, Village Inn, etc). On the way out, we noticed UF Athletics Director Jeremy Foley off in a side room with a group. Campbell's Seafood: Trying to satisfy my recent seafood craving, last weekend we decided to check out Campbell's in Bronson (on the way to Cedar Key). Traci had heard good things about Campbell's from someone at work and it had the run-down look to it on the outside that suggested it might serve up good food. Unfortunately, the service was friendly and it was actually pleasant inside (apparently they renovated the place recently), but the food was just mediocre. Our appetizer of gator bites was lightly fried and tasty. As for my meal, a small piece of fried catfish on a plain bun, well, it was just plain. Traci's cheese steak hoagie sandwich wasn't much better. Sushi Matsuri: Traci doesn't eat sushi and I have to really be in the mood for it. I point out this caveat to put this review in perspective. In any case, we tried Sushi Matsuri, a little sushi bar and restaurant located in a strip center on Archer (in the Butler Plaza megaplex) for dinner a few weekends ago. Our beef negimaki appetizer didn't have much taste to it. Unfortunately, neither did Traci's entree, chicken teriyaki. So maybe the sushi is where Matsuri shines? Maybe, but not with the several rolls I ordered. They were small and nothing out of the ordinary taste-wise. 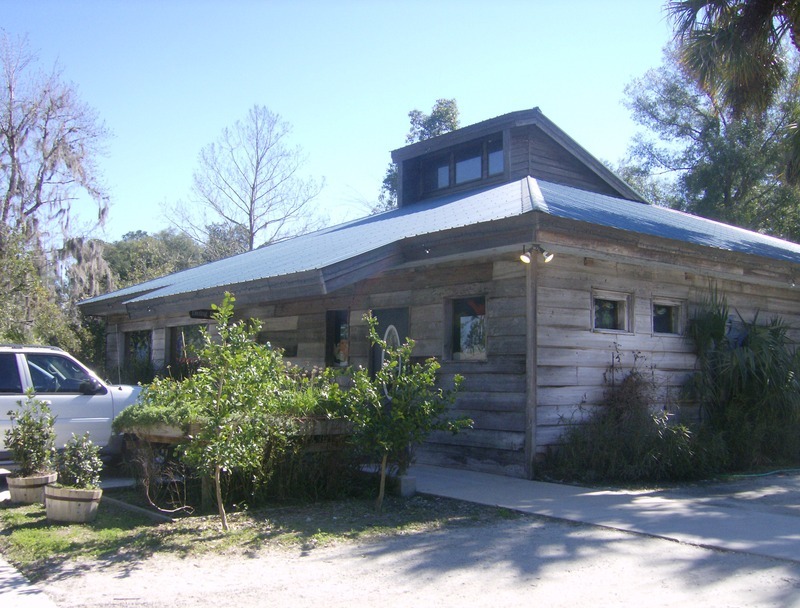 Blue Highway Pizza: We revisited this old Micanopy stand-by for dinner last weekend. This was the first time we've been to Blue Highway for dinner (we usually hit it for lunch on the weekends) and it was very busy. We sat up at the bar and shared an Abruzzese pizza (great mix of meatballs, garlic and mozzarella). I also sampled a slice of mushroom pizza from the couple next to us (if you're into mushrooms, you'll love it, if not, well you'll look the other way) Satchel's may be the top dog for best local pizza, but Blue Highway certainly runs a close second. It's also closer to our side of town, and even when it gets busy, it's nothing like the wait of Satchel's. Speaking of local breakfast/brunch and seafood restaurants, if you have any favorites that we haven't tried, please send them my way. I always hear good things about brunch at Ivey's Grill, but I hate long lines/waits and the two times we almost tried it, we saw the long line and left. Paramount Grill looks like they do an upscale Sunday brunch that we might try for a special occasion sometime. Any others? p.s. FloridaFoodHound was quoted in an article last month in the St. Pete Times about Boss Hog Ribs in Pinellas Park, Fla. You can check out the article here and learn more about Boss Hog Ribs here. This past Friday night, before catching Alonzo Bodden at The Improv comedy club, we headed upstairs for dinner at Samurai Blue. The original Samurai Blue is located in the Centro Ybor entertainment complex in Ybor. A new location has opened in Westchase on Racetrack Rd. 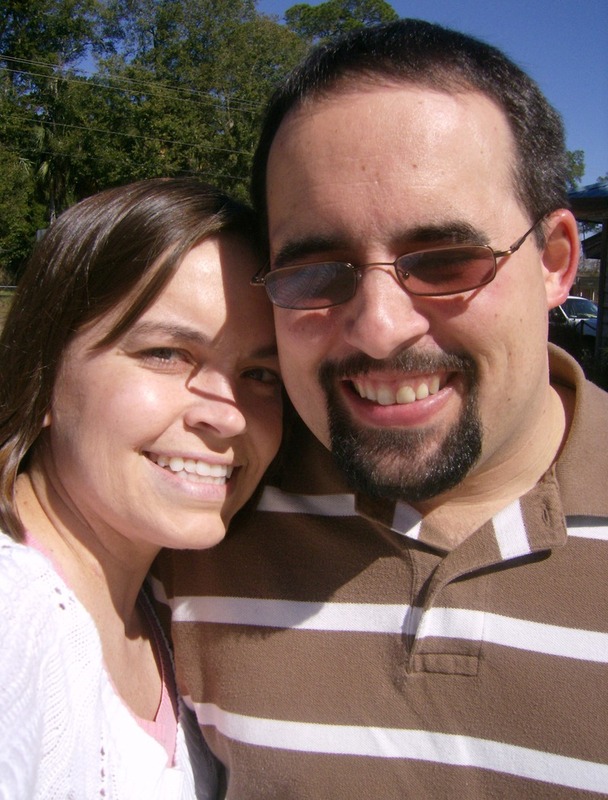 We had dined once before at Samurai Blue about two years ago and had an okay meal. The kind of experience where you might try the place again if you're in the area, but you aren't in a rush to go back. After last week seeing Times restaurant critic Chris Sherman name Samurai Blue one of his five "best sushi" restaurants, we decided it was time to give the place another try. Located inside the historic Centro Espanol building, the atmosphere of the Ybor location is hard to beat with its old-meets-new mix, which includes lots of exposed brick and towering 30-foot ceiling. On this visit, we decided to sit up at the sushi bar to be closer to the action. We started with a bottle of a refreshing cold sake and a grilled beef roll appetizer. The beef could have been more flavorful, but was solid. Little did we realize this dish would set the pace for the rest of the meal. For our main course, I ordered three different kinds of sushi rolls and Traci went with the mango chicken. This large dish came with several chicken breasts served over white rice topped with diced fresh mango. I sampled the chicken, and it was juicy but not particuarly flavorful. While my sushi was fresh, it certainly wasn't among the best sushi I've ever had. Maybe this was just bad luck on my part in the selections I made, but out of three sushi rolls, I'd expect one to be a knock-out. Sushi joints aren't cheap, and when you add just average-tasting sushi, and a fast, but unfriendly server to the mix, the net result is a fairly mediocre experience. Unfortunately, I felt like we did after the first time we visited Samurai Blue - in no rush to go back. The only other local sushi joint I've tried is Cafe Japon in International Plaza and I'm in no rush to revisit it either. Note that Samurai Blue did average on its last health inspection report with 5 critical violations. I'm not a big sushi person, but I would like to find one or two really good local sushi places. In my experience, some of the best sushi comes from small litle places where the sushi bar doesn't feel like a giant assembly line. Fellow Sticksian, Jason, has recommended I give a new restaurant called Sakana on south Gandy near MacDill a try. So what's your favorite local sushi joint and why? Bottom-line: Samurai Blue's sushi didn't knock my socks off, but the restaurant's Ybor location, with its towering ceiling and old-meets-new vibe, still makes it a unique destination. Inspection Scorecard: Last Inspection - August 2006 - Violations - Critical (5) , Non-Critical (2).